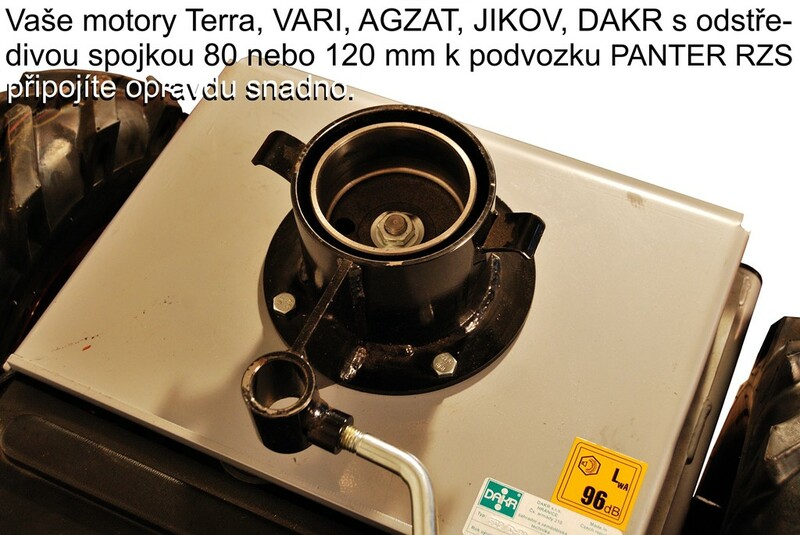 The owners of Terra, Vari, DAKR driving units with 80 mm centrifugal clutch or Agzat driving unit with 120 mm centrifugal clutch will appreciate the possibility to use their engine with handlebars for our Panter RZS chassis. 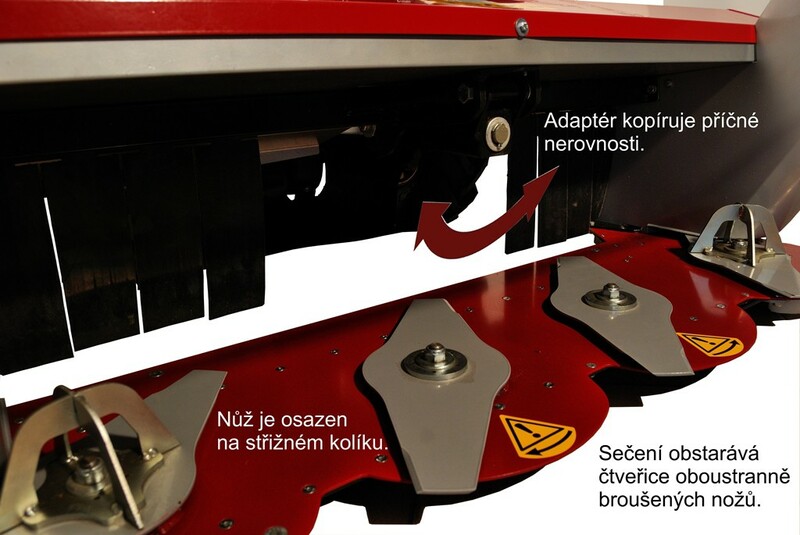 To the chassis you can connect any of the attachable adaptors intended for modular Panter FD-2 driving unit. The chassis is made for 2-stroke or 4-stroke engine so it is necessary to state in the order which engine type will be the chassis powered by. 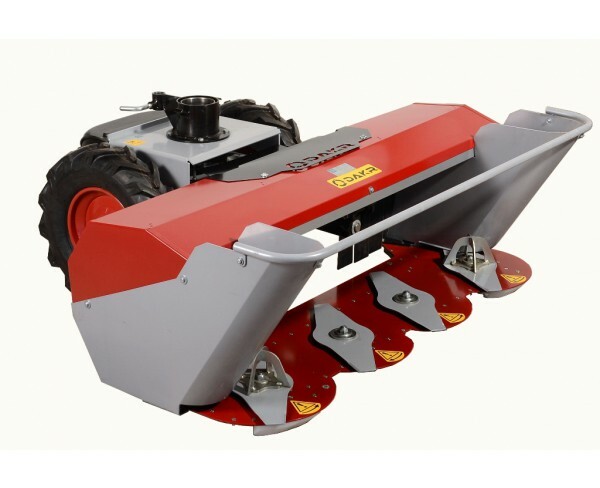 To the chassis it is possible to connect the seat and the wide range of adaptors such as mulcher, haymaker, snow blower, cart, sweeping brush, blade, rotavator, branch crusher. 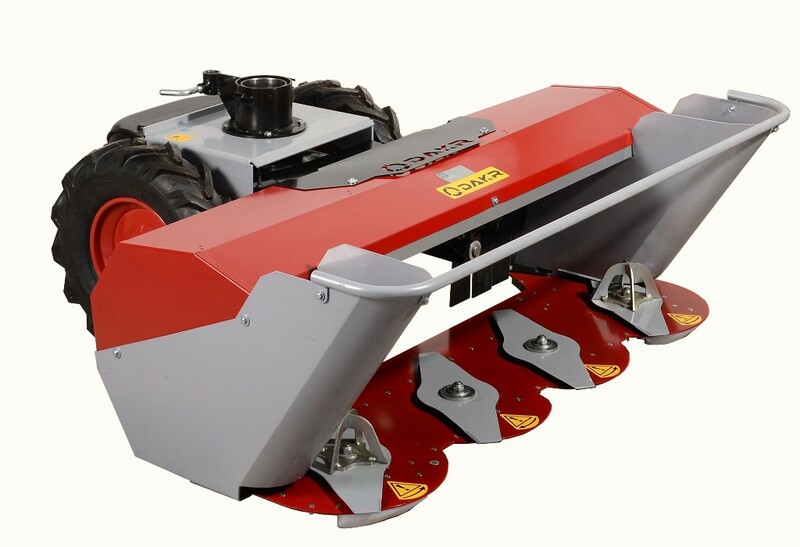 The disc mower has a unique 125 cm operating width.